BHN News Archives - Bio Huma Netics, Inc.
Fertilgold® Organics, a brand of organic fertilizer products from Bio Huma Netics, Inc. (BHN) headquartered in Gilbert, Ariz., has achieved Organic Materials Review Institute (OMRI) listing for 21 initial products. Of these, 13 OMRI-listed liquid crop nutrition products are based on the company’s proprietary nutrient carrier, Micro Carbon Technology®, which carries nutrients to plants more effectively than traditional organic nutrition products. 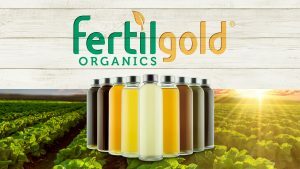 These products are currently available for sale to commercial organic growers in select states (check availability at https://fertilgold.com/shop/), and they will soon be registered and available throughout the United States and in several other countries. Additional products that are currently undergoing review for OMRI listing are in the categories of Soil Fertility, Macronutrients, Liquid Humic and Fulvic Acids, Biopesticides, and Surfactants. Bio Huma Netics, Inc., producer of Huma Gro® and Fertilgold® Organics liquid crop nutrition and protection products, has been granted an unlimited import license to bring fertilizers into Brazil for commercial sale. Brazil is one of the top 4 agricultural producers in the world, one of the largest agricultural exporters, and one of the largest consumers of fertilizers. BHN has been operating under a limited import license during the past year, which has allowed it to bring in small amounts of product for growers to try in anticipation of future sales. 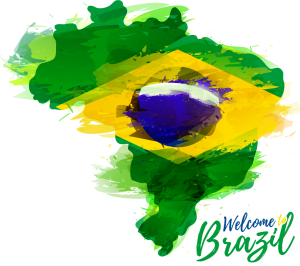 BHN currently has 20 Huma Gro® liquid crop nutrition and protection products registered for sale in Brazil and will begin shipping immediately. Registered products are in the categories of Macronutrients, Micronutrients, Growth Managers, Soil Fertility, Organic Acids, and Biopesticides. It is anticipated that more products will be registered in the future. Additional information on Huma Gro® products is available at http://www.humagro.com/. BHN has been selling agricultural fertilizers in the United States since 1973 and currently sells in 33 countries around the world—including most of the other countries in South America. 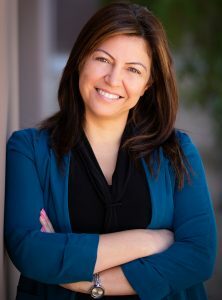 Dr. Rita Abi-Ghanem, Senior Director of Research & Development at Bio Huma Netics, Inc., has been selected to speak as part of a Soil Science Society of America (SSSA) panel discussion on Leadership at the 2019 International Soils Meeting, “Soils Across Latitudes, on January 8, 2019, in San Diego, California. Dr. Abi-Ghanem will be representing an Industry perspective. Other panelists include Dr. Johannes Bouma, Emeritus Professor of Soil Science, Wageningen University, Netherlands (International); Dr. Alfred Hartemink, Professor of Soil Science and Dept. Chair, University of Wisconsin, Madison (Academia); Dr. Ole Wendroth, SSSA Incoming President-Elect, Professor at University of Kentucky (SSSA); and Dr. David Lindbo, Director of Soil Science Division, United States Department of Agriculture (Government). 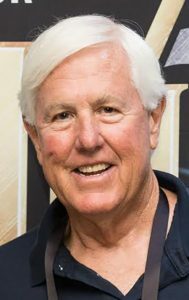 The panel discussion will be held at 10:30 a.m. until 12 noon on Tuesday at the Sheraton Hotel, Spinnaker 1. The discussion will be focused on professional leadership skills needed by students, post-docs, and early career members. Dr. Abi-Ghanem—a native of Lebanon and a Fulbright Scholar who earned her doctorate in Soil Science from Washington State University—was honored earlier this year when she was selected for two 40-Under-40 awards sponsored by The Phoenix Business Journal and jointly by the editors of Fruit Growers News and Vegetable Growers News. She was previously presented with the Association for International Agriculture 2016 Young Professional Award. She has been Senior Director of Research & Development for Bio Huma Netics, Inc., since 2014. Rita Abi-Ghanem, PhD, Senior Director of Research and Development at Bio Huma Netics, Inc. (BHN), has recently been selected for two 40-Under-40 awards. 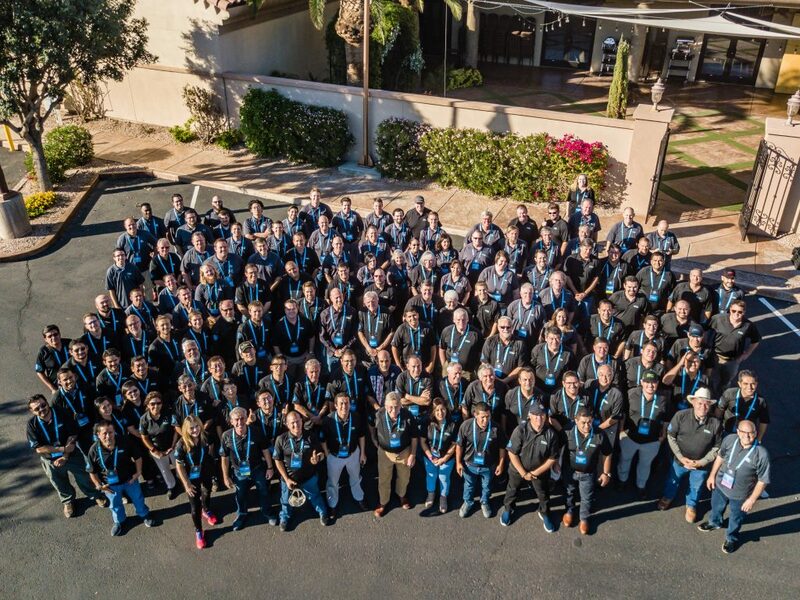 The first, from The Phoenix Business Journal, recognizes Arizona leaders under the age of 40 who are making major strides in their careers and are having a positive impact on their communities. Forty individuals were selected for this award from a field of 420 industry-leading nominees. The second, the Fruit + Vegetable 40 Under 40, is given by the editors of Fruit Growers News and Vegetable Growers News to outstanding young industry professionals who are demonstrating exceptional commitment to making their mark in the industry through innovation and leadership. The Phoenix Business Journal award will be given at an August 2nd event at the Fairmont Scottsdale Princess Resort in Scottsdale, Ariz. The Fruit + Vegetable award will be given at the 2018 Great Lakes Fruit, Vegetable & Farm Market Expo in Grand Rapids, Mich., on December 4. 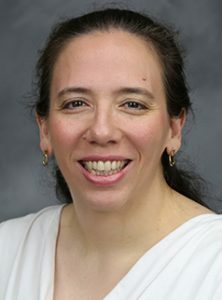 Dr. Abi-Ghanem—a native of Lebanon and a Fulbright Scholar who earned her doctorate in Soil Science from Washington State University—states that she is deeply honored to have been selected for these two awards, and she was quite surprised when notices about her selection for these two unrelated awards with similar names arrived just a day apart. 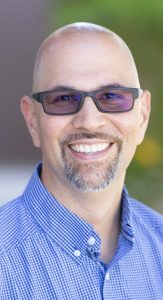 BHN CEO Lyndon Smith stated that he and everyone else at BHN are very proud of Dr. Abi-Ghanem’s accomplishments, and he is pleased that others in the local and national communities are recognizing her contributions to agriculture. 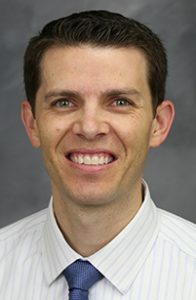 Dr. Abi-Ghanem is an adjunct faculty member of the Department of Crop and Soil Sciences at Washington State University (WSU) and serves as a member of the Humic Products Trade Association Science Committee; the Fluid Fertilizer Foundation Research and Education Committee; and the Arizona Department of Agriculture Pesticide Advisory Committee. She is former Chair of the Women-in-Science Committee of the American Society of Agronomy (ASA), Crop Science Society of America (CSSA), and Soil Science Society of America (SSSA), and is current co-chair of the SSSA Representation and Recognition Task Force. She is currently also serving a 2-year term as a member of the Agricultural Science Committee of the U.S. Environmental Protection Agency’s (EPA’s) Science Advisory Board (SAB) and is an executive board director of the Association for International Agriculture and Rural Development (AIARD). The United States Department of Commerce (USDC) has awarded Bio Huma Netics, Inc. (BHN) an Export Achievement Certificate in recognition of recent accomplishments in the global marketplace. 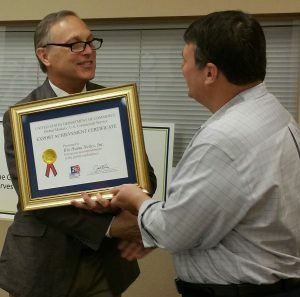 The certificate was presented to BHN CEO Lyndon Smith in Phoenix by Congressman Andy Biggs (Arizona’s Fifth Congressional District). BHN CEO Lyndon Smith stated that Bio Huma Netics is very proud of its international sales success and appreciative of this recognition from the United States Department of Commerce. He attributed BHN’s global success to its Huma Gro® line of liquid fertilizers that increase the quality and yield of previously low-producing crops, providing sustainable-agriculture food products while commensurately preserving the environment and the earth’s natural resources. Heather Jennings, Senior Project Engineer for Probiotic Solutions® at Bio Huma Netics, Inc. (BHN), was presented the Division Leadership & Service Award by the TAPPI Women in Industry Division at the PaperCon meeting in Ohio on April 16. The Award was presented in recognition of Ms. Jennings’ outstanding leadership and exceptional service. She was a co-founder of the TAPPI Women in Industry Division in 2015 and has been division vice chair since that time. She will assume chairperson duties for the division in 2019. TAPPI is a not-for-profit, volunteer-led association that is built around a community comprising thousands of member engineers, managers, scientists, academics, suppliers, and others from around the world who are involved in the papermaking industry. TAPPI Divisions grant awards to individuals in recognition of outstanding accomplishments or contributions to the industry’s technology or the TAPPI organization. Each technical division may grant no more than one award for leadership and service per year. More about TAPPI and its Women in Industry Division can be found at http://www.tappi.org/womenindustry/. Ms. Jennings has been with BHN since 2015. She has a BS in Chemical Engineering from Brigham Young University and has 15 years of engineering experience. Probiotic Solutions® is the BHN soil and wastewater bioremediation division that assists industries such as food processing, municipal wastewater, pulp and paper, chemical refineries, and others who use water in their processes to treat and return safe, clean water to the environment.